The Crisis | God of Hope Ministries | To provide hope to prison inmates through prayer, evangelism, mentoring/discipleship, transitional assistance, and biblically based counseling. nation on earth. Currently, over 2.3 million people are in U.S. prisons not including the 350,000 children locked away in our juvenile detention centers. The State of Texas has 115 prisons with over 150, 000 men and women behind bars. These packed prisons and jails are costing U.S. tax-payers approximately 88 billion dollars annually. In 2014, it is reported that Texas spent approximately 3 billion dollars on its prison system. The impact of imprisonment on families and communities is immeasurable! Ultimately, this crisis emanates from hopelessness. Without direction and purpose for their lives, people commit crimes out of frustration and hopelessness. 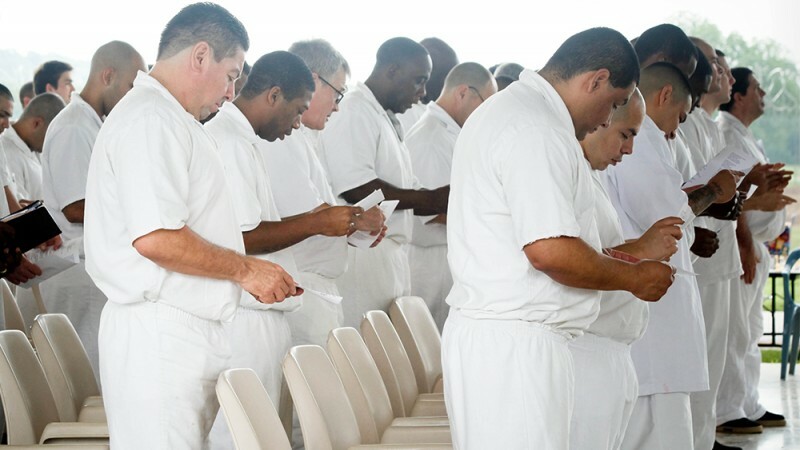 At The God of Hope Ministries, we believe that inmates need to know that God loves them and offers real hope and a future through a personal relationship with Him. Our mission is to teach and model the love of Christ through an intense and focused exposure to His truth. Further, we believe that God’s love and truth provides hope and a viable solution to this crisis in our nation!